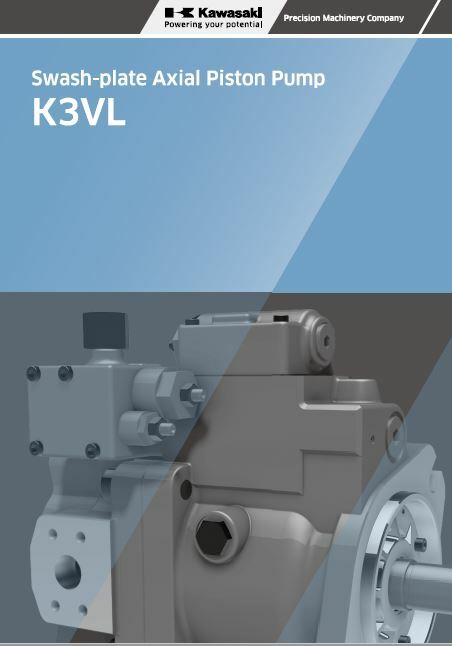 The K3VL Series swash plate type axial piston pumps are designed to satisfy the marine, mobile and industrial markets industrial machinery market where a medium/high pressure variable displacement pump is required. K3VL Pumps are available in nominal displacements ranging from 28 to 200 rev with various pressure, torque limiter and a combination of load sensing control options. SAE & ISO Mounting and shaft. Excellent reliability and long service life. Low pulsation and noise emissions. Integral unloading or proportional pressure relief valves available.